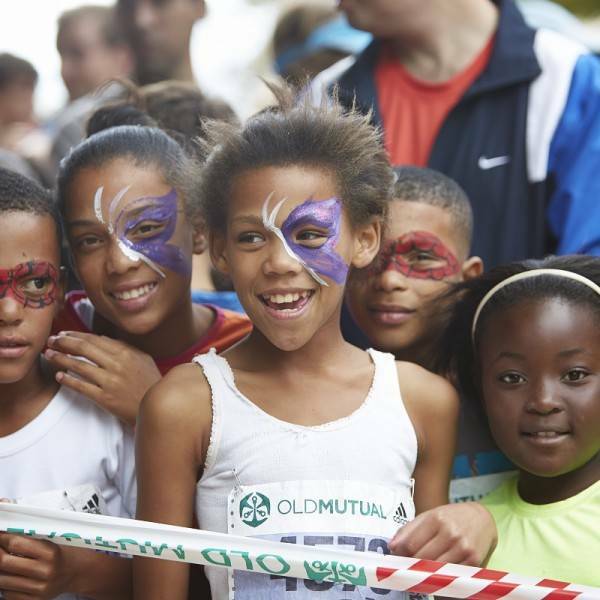 It’s a special year for Two Oceans Marathon – celebrate 50th anniversary with us! 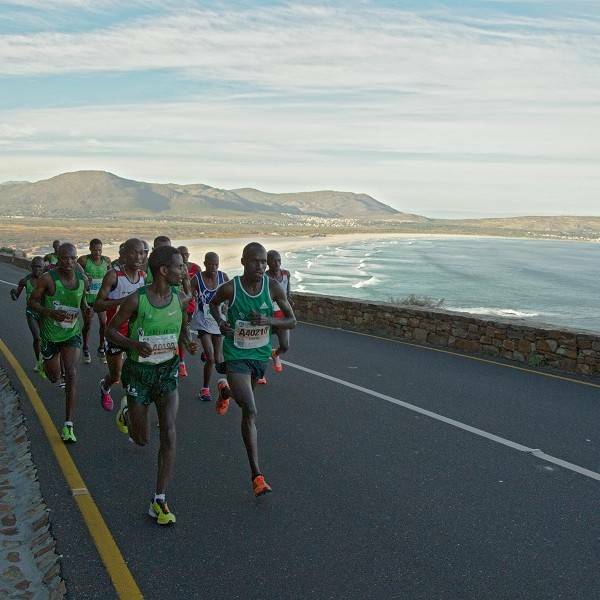 Taking place in Cape Town, South Africa over Easter weekend Old Mutual Two Oceans Marathon is very well known for the Ultra race (56kms). 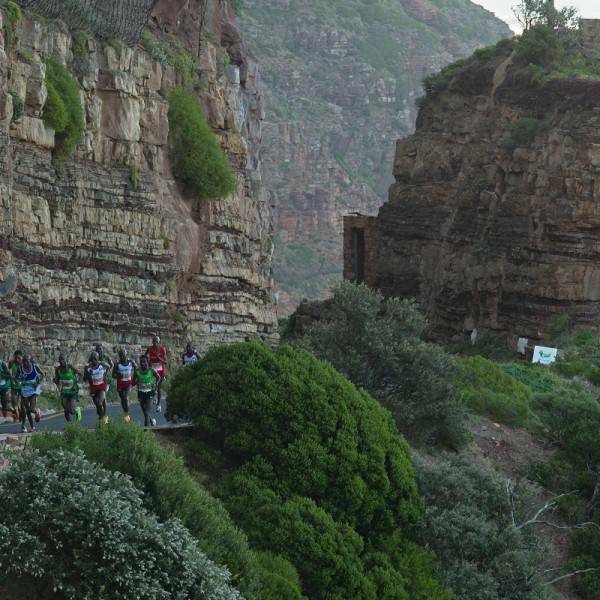 The world’s most beautiful marathon, the Old Mutual Two Oceans Ultra Marathon, is run over an extremely challenging route in spectacular scenery. Sports Tours International offers guaranteed entry to both of these events with our hotel and support packages. 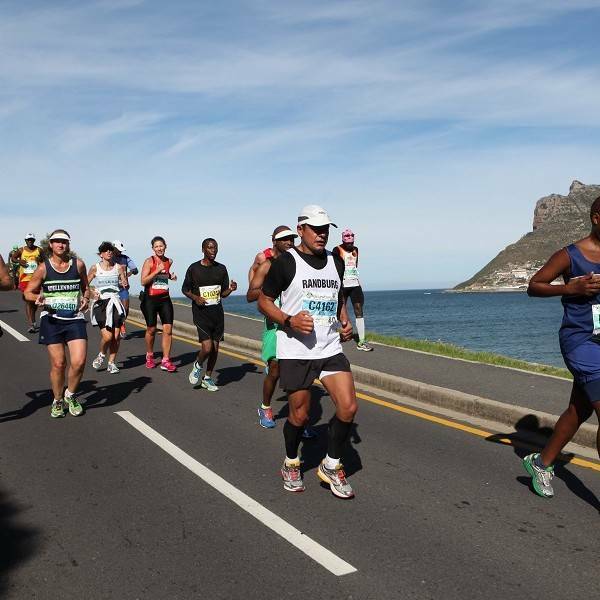 Taking place in Cape Town, South Africa over Easter weekend, the Old Mutual Two Oceans Marathon is very well known for the Ultra race (56kms). 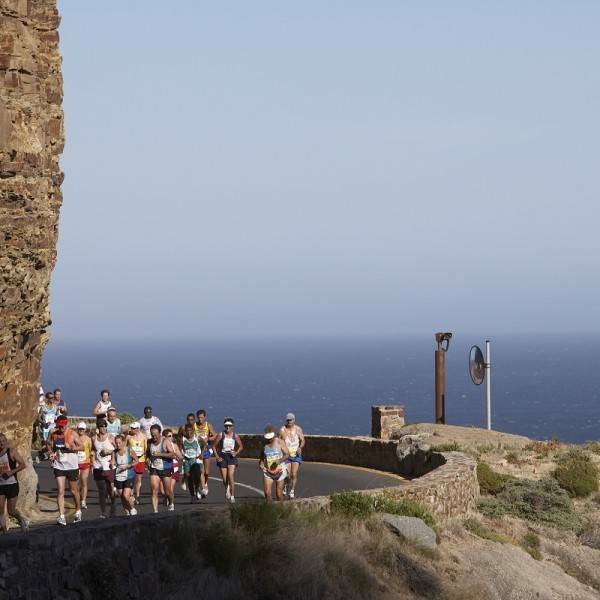 The world’s most beautiful marathon takes place on a challenging route, with spectacular scenery, breath taking views of clear blue oceans, majestic mountains and enthusiastic supporters. 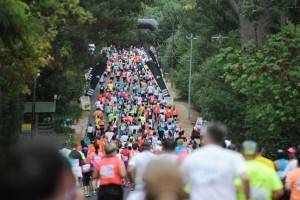 The 21km race is a very popular option for those wanting a shorter distance, not so many hills and in recent years the Half Marathon has grown in popularity and often sells out early. A world class Expo, International Friendship Run, Fun Runs and Trail Runs complete the weekend of running activities. Cape Town is South Africa’s most beautiful, most romantic and most visited city. 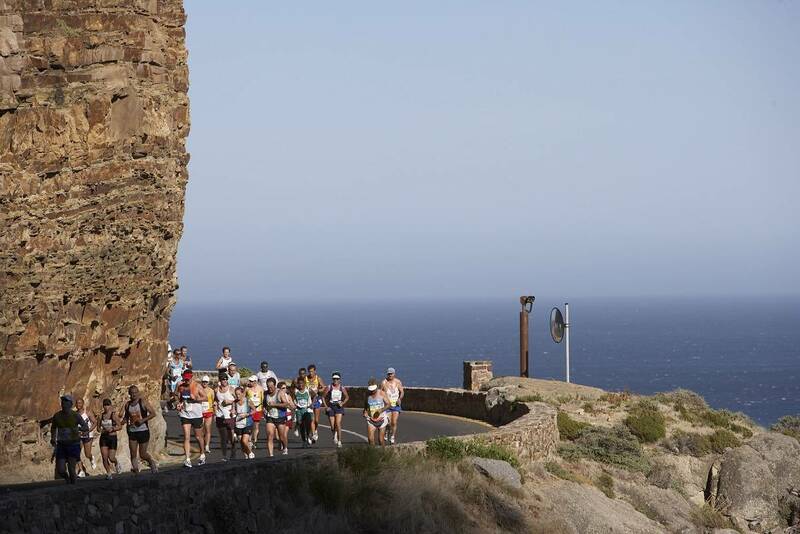 Its setting is extraordinary and makes an ideal backdrop for an Ultra Marathon. 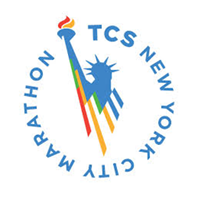 Starting with only 26 runners in 1970, the event has exploded in popularity to a 26,000 athlete sell out event. The half marathon on the same day is, if anything, even more popular than the ultra distance event and has become a firm favourite among local and international runners alike. 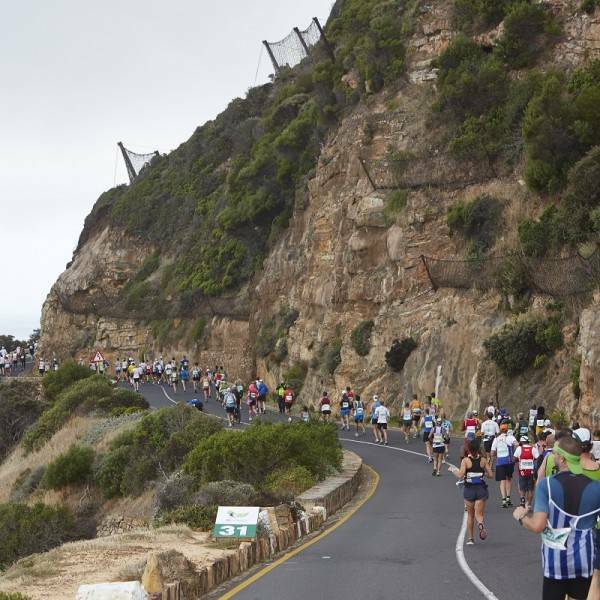 The Two Oceans takes in the most notable routes and scenery around the Cape peninsula including the coastal mountain road of Chapman’s peak drive, combining a breathtakingly beautiful course with an immense test of fitness. These can be arranged. More details to follow later. 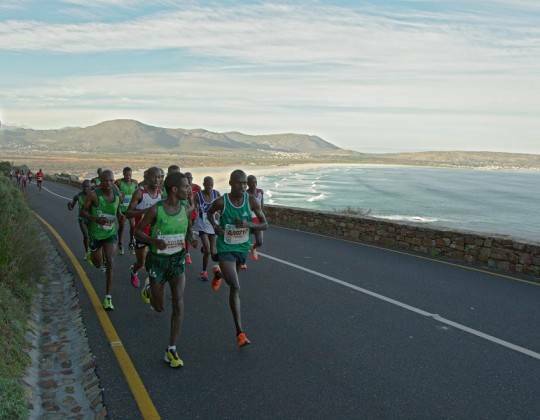 All runners who enter the Two oceans ultra marathon or half marathon may also run the International Friendship Run on Friday 19 April, 2019. 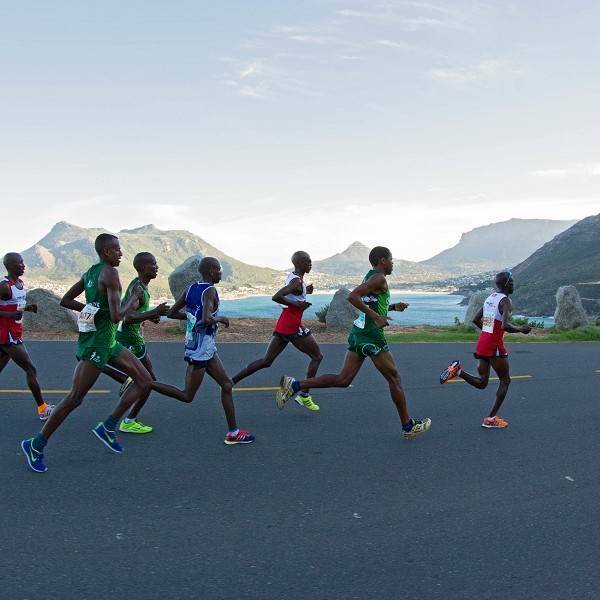 Run the world’s most beautiful marathon over the beautiful landscape of South Africa. 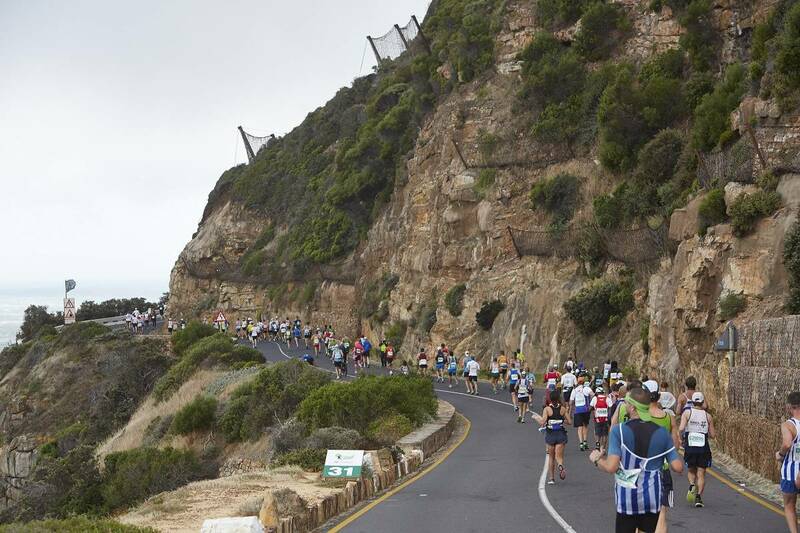 Run Chapmans peak drive, a road built into the granite of mountains overlooking the sea. 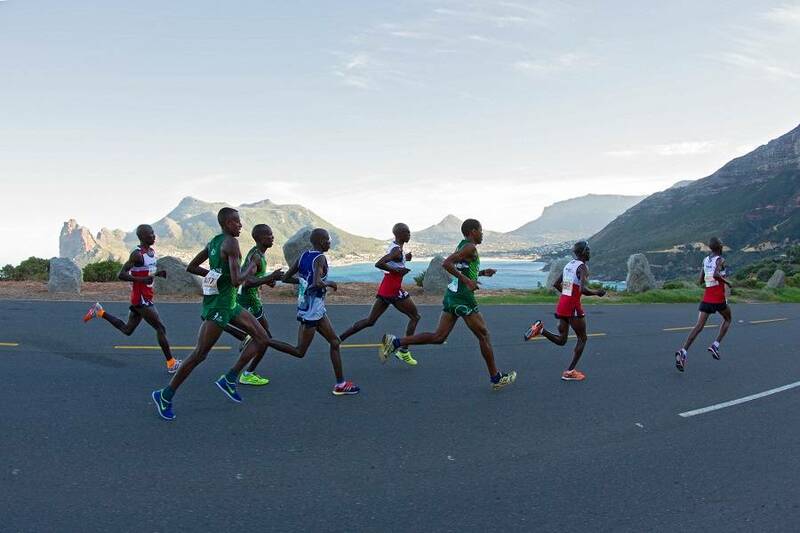 The course of the Ultra marathon starts in Cape Town opposite the SA brewery before moving south out of the city to run among the foothills of the Cape peninsula. 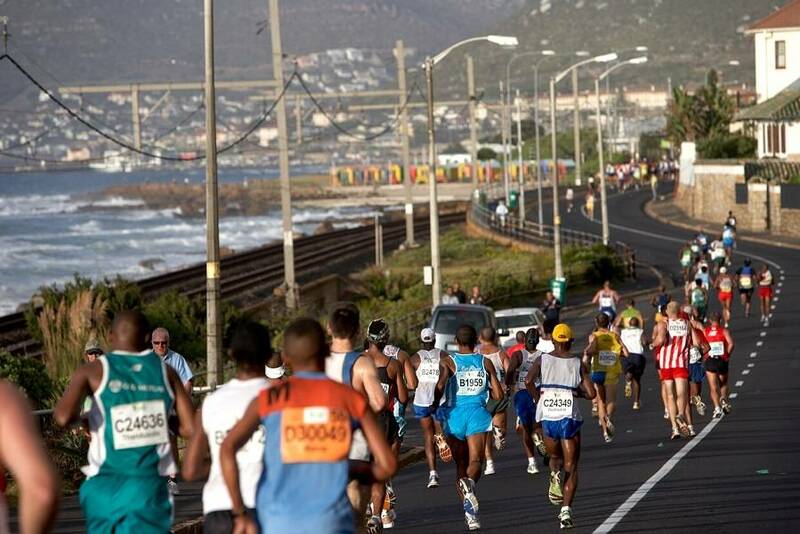 After turning East the runners will turn back towards Cape Town, running along Chapmans peak drive, and finishing the race on the campus of Cape Town University. The natural beauty of Cape Town and its fantastic diverse culture makes it one of the most attractive cities in the world. Cape Town boasts beautiful coastline and beaches. Impressive Table Mountain right in the heart of the city. The restaurants are world class, and so are the wines. There is so much to see and do in Cape Town. 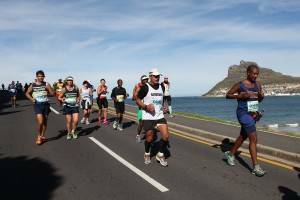 The average temperature of 23 degrees at Easter makes the climate perfect to combine ‘The World’s Most Beautiful Marathon’ with a fascinating holiday in South Africa. 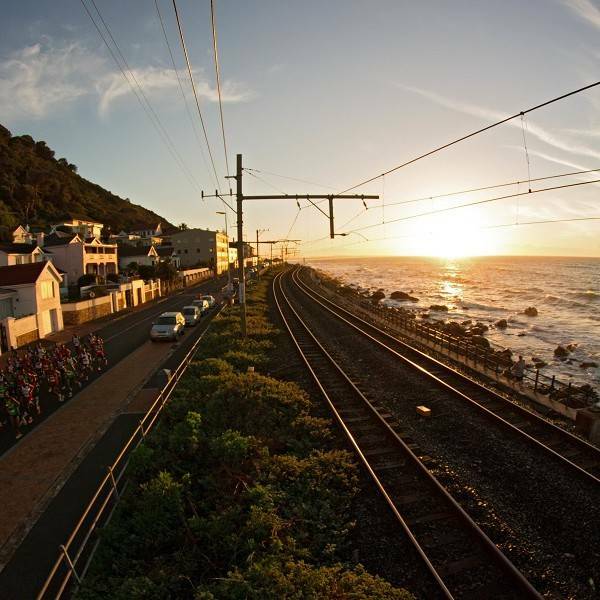 Opportunities to extend and holiday in South Africa before returning home are endless. It is very seldom that I feel the need to complain or extend my thanks for any service I receive, as I figure that most times "life's too short". However on this occasion I feel that I need to make an exception. 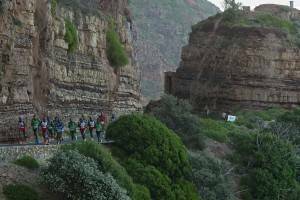 Throughout, from the moment you received our booking, the service we received from you personally, Sports Tours and your partners in South Africa, has been absolutely exceptional. You have all truly made our experience of the Two Oceans utterly memorable. Whether it was transfers from the Airport, attendance at the Expo pre race or the hospitality shown at the end of the race and transport back to our hotel, everything ran so smoothly that we had no stress surrounding us. 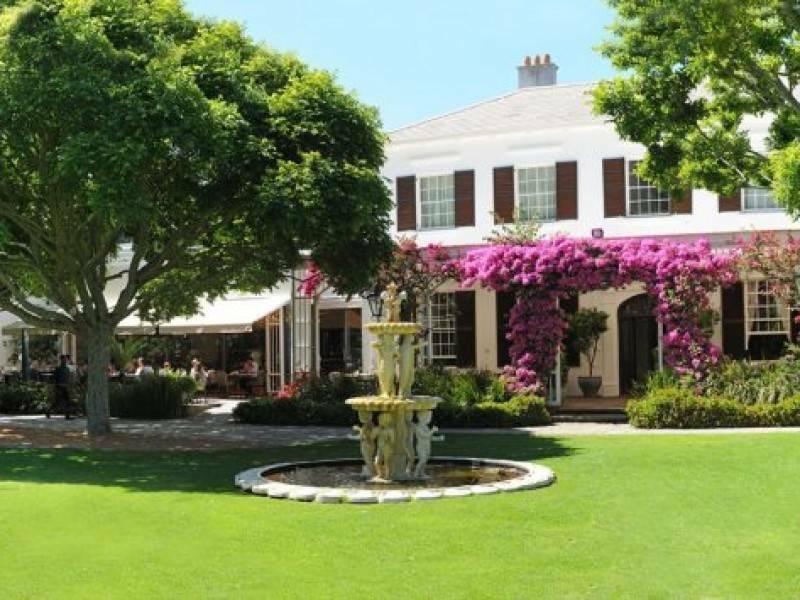 The Vineyard Hotel was of an exceptional standard. We extended our holiday after Capetown and stayed in three more hotels, but I have to say that the Vineyard was as high a quality as anything we saw in all of our time in SA. This brings me on to the race itself. My wife and I have been running in full and half marathons for a number of years and were both agreed that the Two Oceans was the best and most awe inspiring we have ever competed in. The race starts in darkness at 6am, which was an surreal and atmospheric experience. This was surpassed at mile 5, when the race turns to view the sunrise over Table Mountain. Amazing. The beauty of the course deserves the races boast as the "Worlds Most Beautiful Marathon"
Without wanting to appear too gushing, I felt that it was important to share our views, as it is all too easy to complain sometimes, but not always as easy to extend our heartfelt thanks for one of the best running trips we have ever experienced. Fly into Cape Town by your own means where you will be met at the airport and transferred to your chosen hotel if you have booked our airport transfer service. Please ensure you provide us with your flight information with or just after your initial booking. After check in at your chosen hotel, you will have the opportunity to attend the Marathon EXPO to collect your race pack. 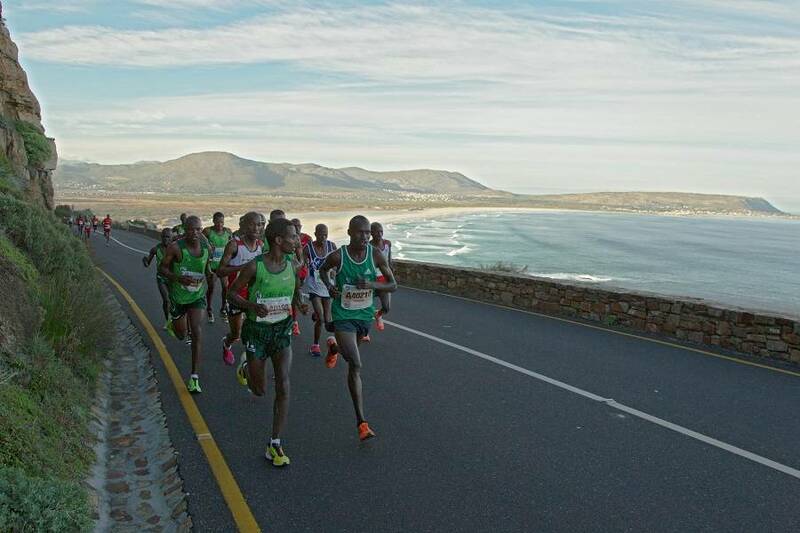 Today you will register for the Two Oceans Marathon. The rest of the day is free for you to explore Cape Town. 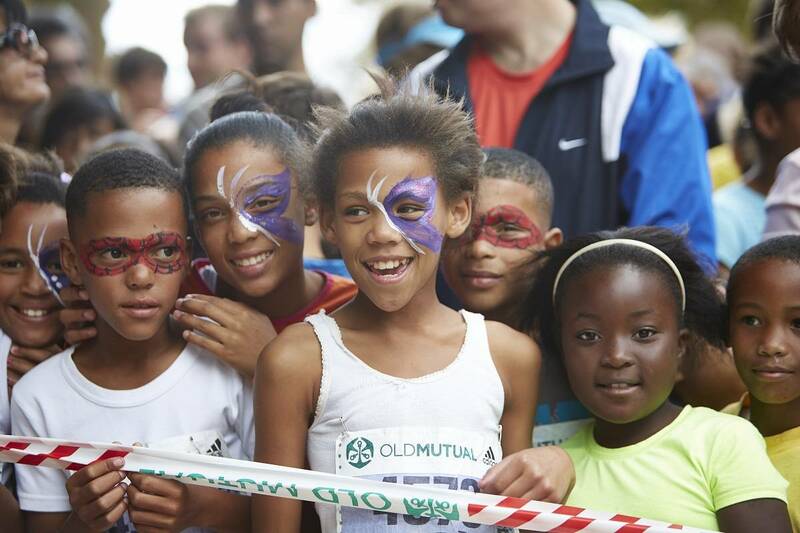 Today is also the International Friendship Run at 8.30am for a 5.6km run through Cape Town. 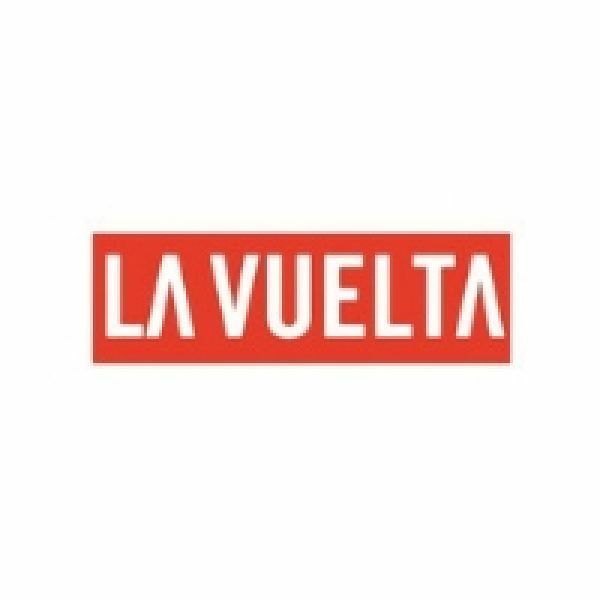 The event is free to International Runners taking part in either the Ultra or Half Marathon. Non runners are able to pay for entry into the International Friendship Run. It is compulsory to register/collect your race numbers and related items before the race. Please bring a printed confirmation, your ID and RaceTec timing chip (if you have one) to collect your registration pack prior to the event at the CTICC, Convention Square, 1 Lower Long Street, Cape Town between 8am and 5pm. 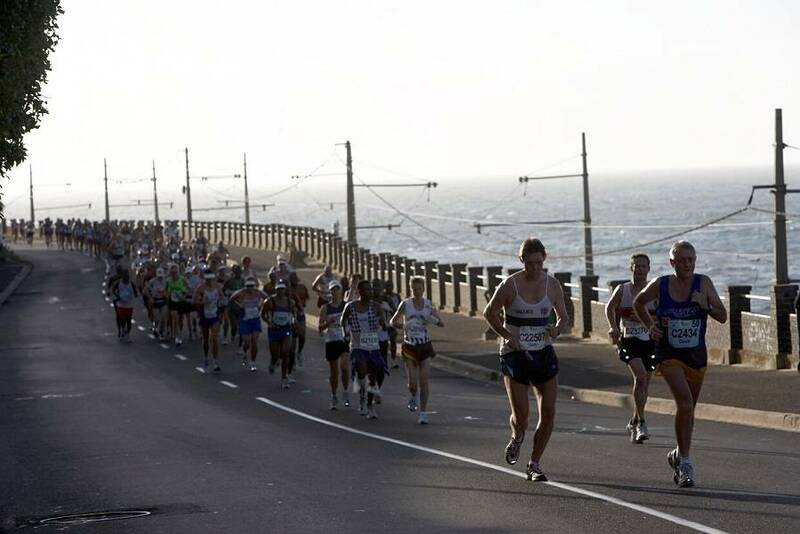 The day of the Two Oceans Ultra marathon and Half marathon. 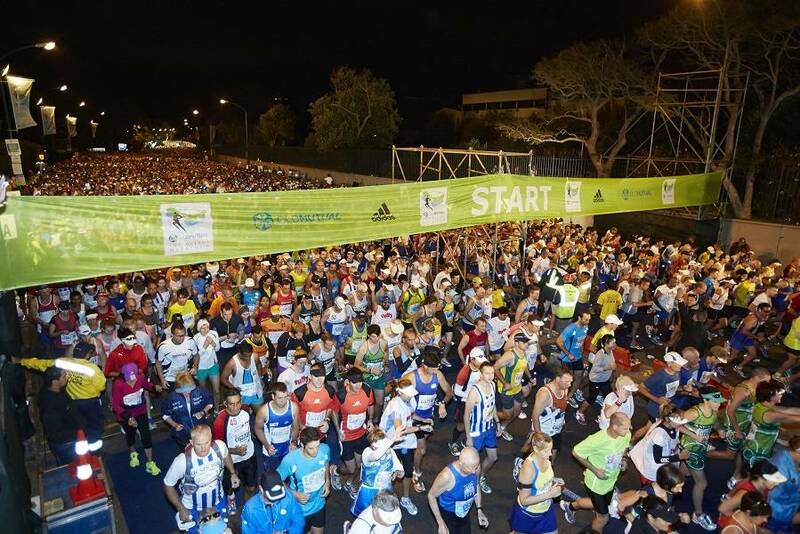 The Ultra Marathon has a start time of 06.30am from outside the SA Breweries, Main Road, Newlands and is 56km (34.8 miles). The Half Marathon is 21km (13.1 miles) and starts at 05.50am (seeding A-C), 06.00am (seeding D) and 06.10am (seeding E). The hotels are easy walking distance to the race start and so guests staying at Park Inn Newlands, Vineyard Hotel & Southern Sun Newlands will walk down to the race start. 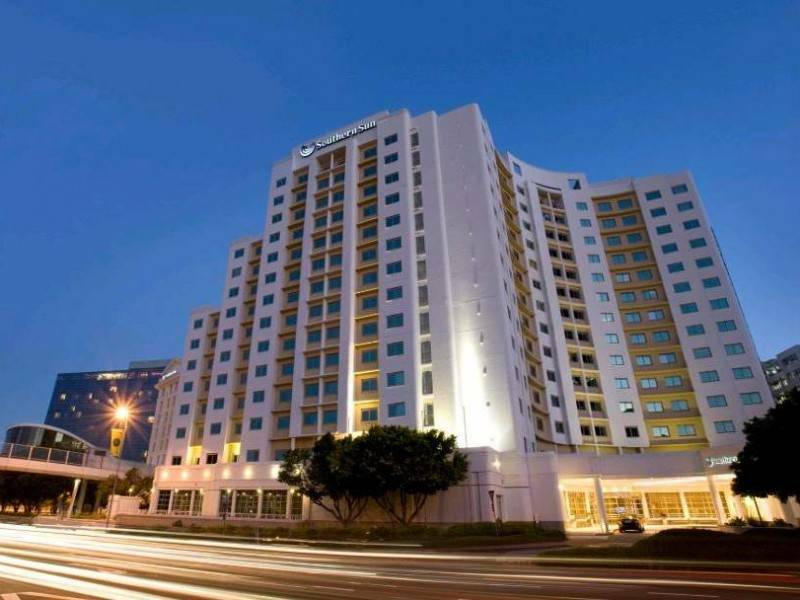 See hotel descriptions for distance from hotels to the race start. Local ground staff will collect runners from their hotel at 04h30 and take them to the race start. 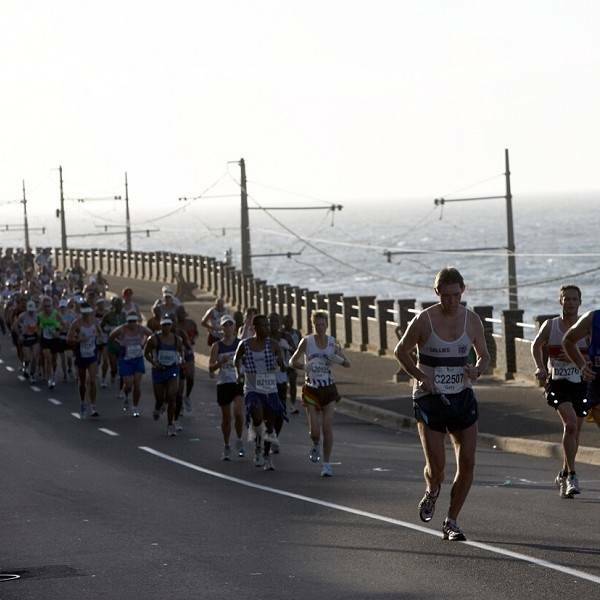 Spectators will be collected from their hotel at a later time (07h00 for 21km spectators or 08h30 for 56km spectators) and taken to the race finish. Journey time on race day can be between 20 to 45 minutes due to traffic. A free day to rest up after the challenge and any sightseeing you may wish to tackle. Return journey from South Africa, airport transfers from your hotel are available at extra cost. Please provide your flight information once booked. 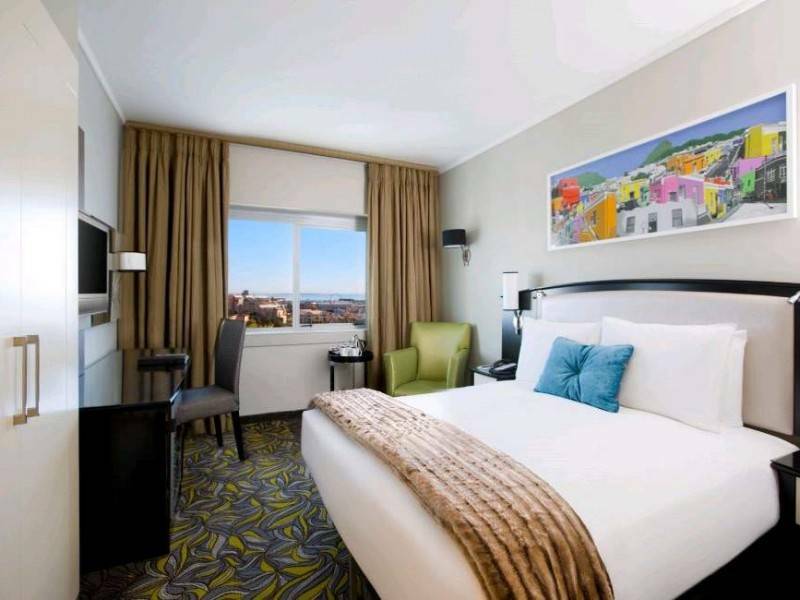 Modern and comfortable this 4* hotel offers guests easy access to most of Cape Town’s attractions. 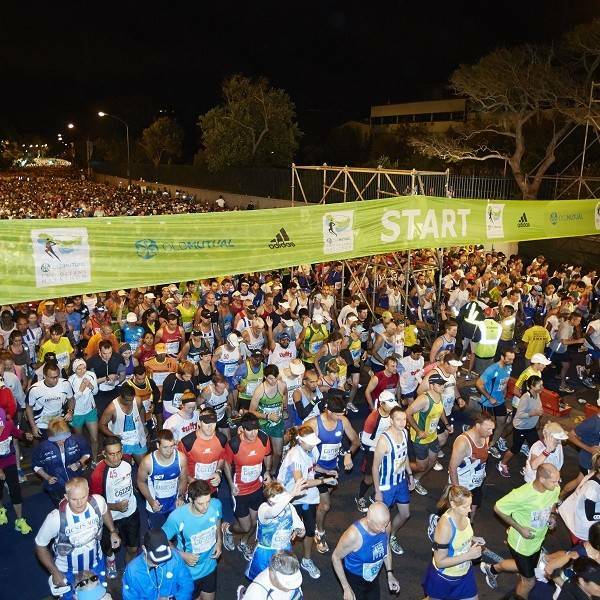 Within easy walking distance to the world-renowned V&A Waterfront, the Cape Town Convention Centre and the Cape Town CBD and approximately 9kms drive to the race start/finish. Guest rooms are bright and spacious with luxurious bathrooms (separate bath and shower), small fridge and tea/coffee amenities. The hotel facilities include an outdoor (un-heated) pool, gym and free Wi-Fi. 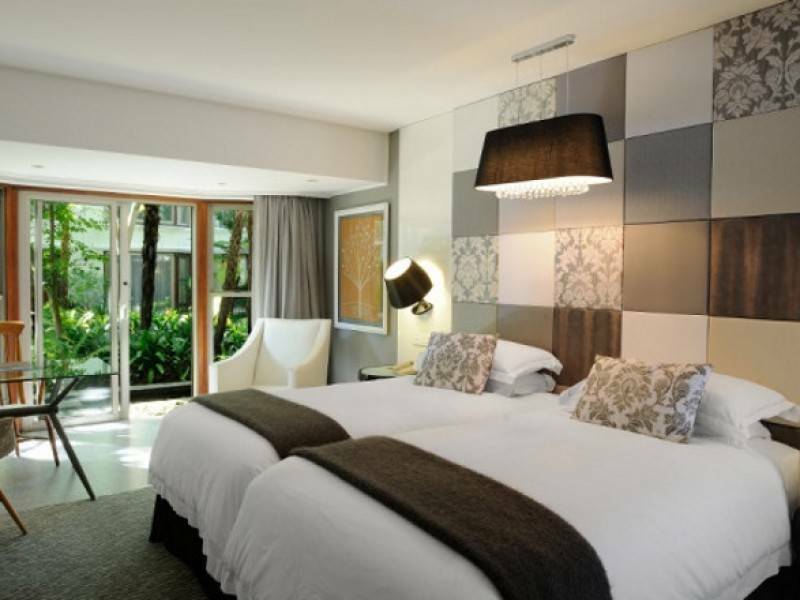 This deluxe hotel is situated in six acres of attractive landscaped parkland, in the residential suburb of Newlands. Ideally situated and within walking distance to shops, restaurants and less than 1 km of the race start. 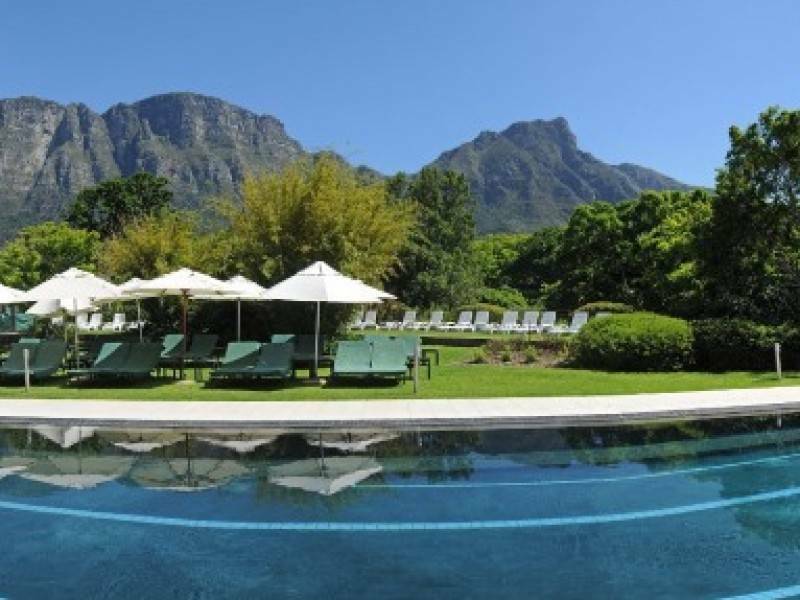 Originally built by Lady Anne Barnard in 1799, the Vineyard Hotel & Spa has a relaxing colonial feel with spectacular views of the forested slopes of Table Mountain. Guests can relax at the heated outdoor and indoor swimming pool, adjoined by a fitness centre and the international Angsana Spa (pre booking essential). 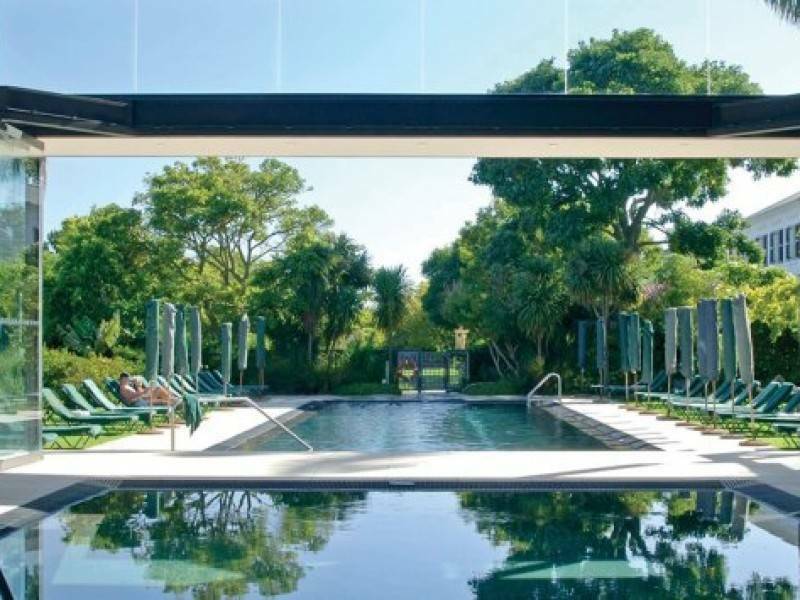 For the discerning traveller looking for superior accommodation in a relaxed environment The Vineyard Hotel & Spa is excellent value for money. Free Wi-Fi and guest rooms are furnished in soft colours with luxurious bathrooms (separate bath and shower), mini-bar fridge and tea/coffee amenities. The Cape Town business district and Waterfront area are approx. 20 to 40 minute drive away. The carbo loading dinner takes place at the hotel on Friday 30th March and typically includes a buffet selection of pastas and salads (beverages and gratuities are not included). 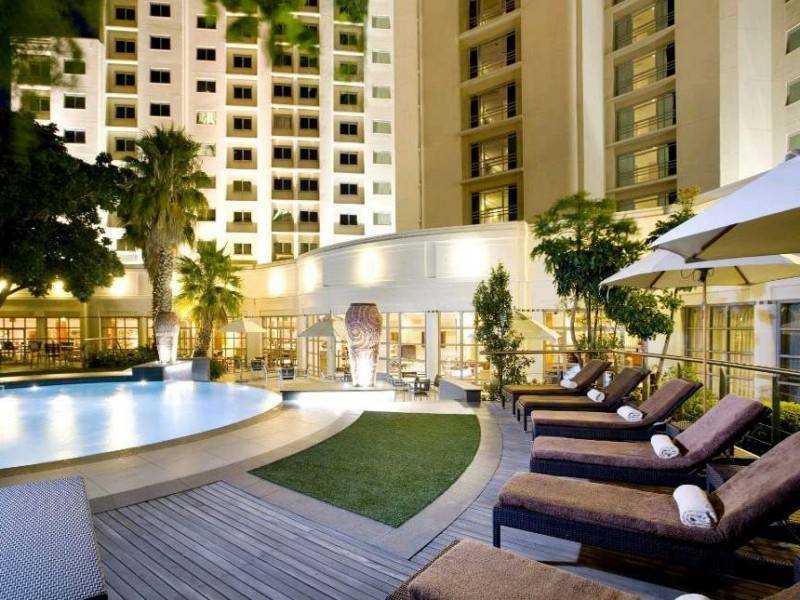 This deluxe hotel is situated in six acres of attractive landscaped parkland, in the residential suburb of Newlands. Ideally situated and within walking distance to shops, restaurants and less than 1 km of the race start. Originally built by Lady Anne Barnard in 1799, the Vineyard Hotel & Spa has a relaxing colonial feel with spectacular views of the forested slopes of Table Mountain. Guests can relax at the heated outdoor and indoor swimming pool, adjoined by a fitness centre and the international Angsana Spa (pre booking essential). For the discerning traveller looking for superior accommodation in a relaxed environment The Vineyard Hotel & Spa is excellent value for money. Free Wi-Fi and guest rooms are furnished in soft colours with luxurious bathrooms (separate bath and shower), mini-bar fridge and tea/coffee amenities. 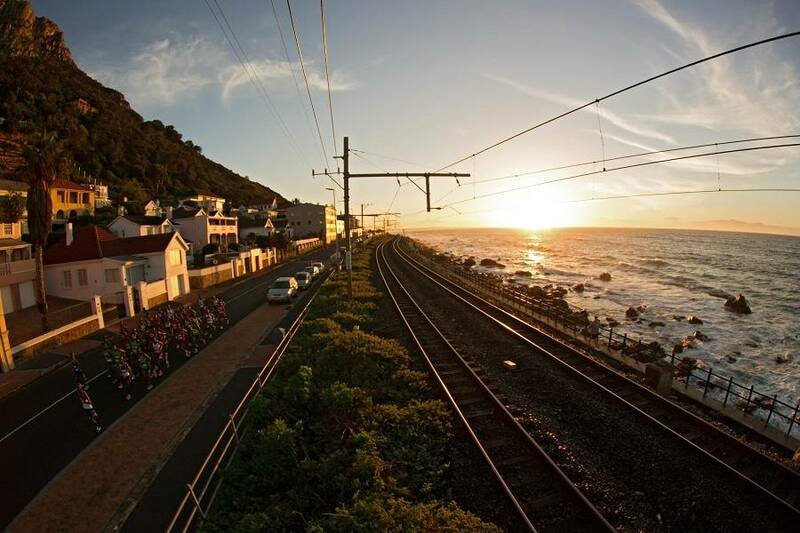 You will stay here on a bed and breakfast basis, with Cape Town Airport transfers and race day transfers included, as well as a carb loading dinner on Friday 14th April, the night before the race. 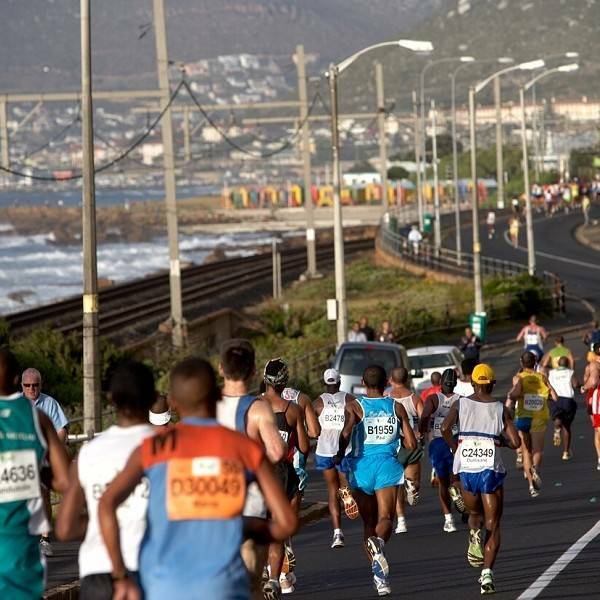 All standard IAAF (ASA in South Africa) affiliated marathons, and/or races longer than 42.2 km will count as qualifying races, provided that the race course is officially measured, and the race is officially timed. Although it is a prerequisite for participation, runners do not need to qualify before entering the race. ALL Runners (including International and Africa entrants, as well as Blue Number holders) are required to run a qualifying marathon (or longer distance) within the specified minimum time, as stipulated below. 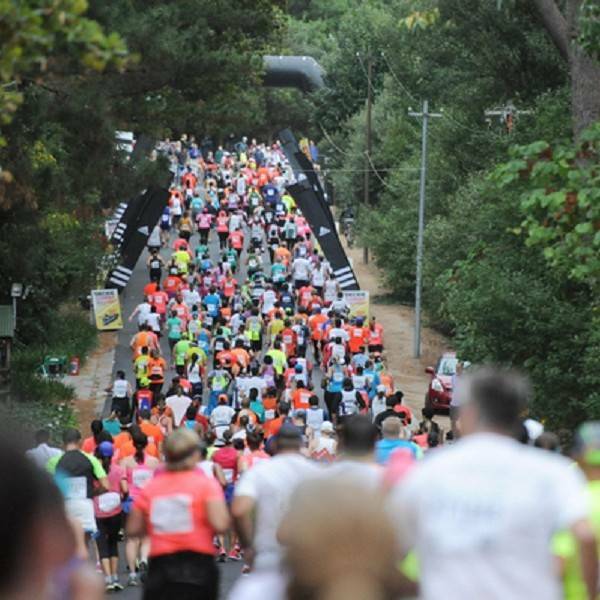 The qualifier window opens 1 July 2019.Your qualifying results must be submitted to your OMTOM profile by 18 March 2019. Runners who do not submit their qualifiers by this Profile Update deadline will forfeit their entry. New rules will apply from 1 October 2014. Parents travelling with children into or out of South Africa may be asked to show the child’s unabridged (full) birth certificate, and where only one parent is accompanying, parental or legal consent for the child to travel (eg an affidavit from the other parent, a court order or, if applicable, a death certificate). You should travel with these documents in case you’re asked to provide them. There are other requirements for children travelling unaccompanied or with adults who are not their parents. For more information, contact the South African High Commission or the South African Department of Home Affair.Due to the outbreak of the Ebola virus in west Africa the South African government has announced travel restrictions for people travelling to and from affected countries. We strongly advise that you read the details on the FCO website. Q. Do I need a qualifying time to book with Sports Tours International? Yes, all runners taking part in Two Oceans need to have qualified to take part. 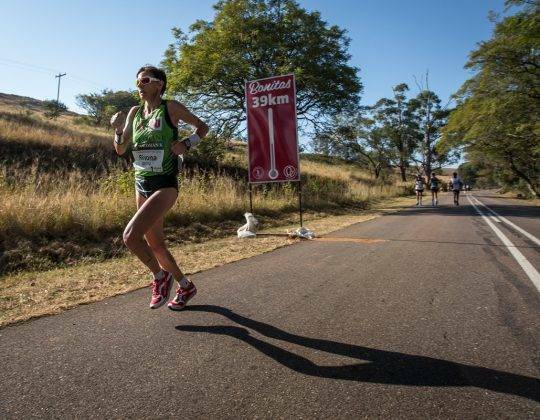 All international runners musts run a qualifying marathon and submit their results before 28 February 2019. Q. Do Sports Tours International have guaranteed entries? Yes, Sports Tours International have guaranteed entries. Q. 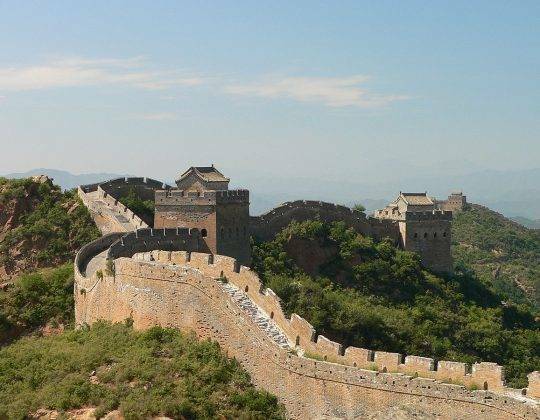 Can I extend my stay and book sightseeing?